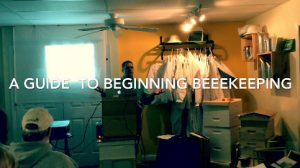 Guthries Naturals will host a beekeeping seminar entitled “A Guide to Beekeeping” on March 18, 2017. The seminar will include beginner and intermediate tracts and be held at the Best Western Hotel in Frankfort, KY. The guest speaker is Trevor Qualls of Bon-Aqua Springs Apiaries. Other Speakers will include Clay Guthrie, Wes Henry, John Antenucci and Matthew Frost. Registration is $45 per individual or $68 per couple. Registration will include books tailored to the tract that for which you register. Each tract is limited to 45 people. For more information or to register for the event, visit the seminar web page.